I’m an avid Reddit user, 5 year club but who’s bragging? There are plenty of awesome examples of social media doing great things for a brand without them trying. The other day I came across this highly up-voted post about something one of the Kimpton Hotel’s did in response to a customer. With over 1250 comments so far and a few thousand votes, you know this is going to be seen by tens of thousands of people. I hope the person who replied from the Kimpton Hotel gets a little extra bonus next month because you just can’t ask for a better “strategy”. I’d like to thank hotel marketing consultant Are Morch for making the time to take the interview, I know how busy this guy can be! I met Are through Linkedin.com and like to point out how that social network is great for not only making business connections, but leading to opportunities such as this interview. A large portion of our blog readers come from the hotel/travel industry and I thought Are would make a great interviewee for that target crowd. My name is Are Morch, and I am the author of Are Morch – Hotel Advisor and Social Media Strategist. Born in the beautiful country of Norway, but live today in Tupelo, MS with my spouse. My background is from IT, public administration, customer service and hotels. Been fascinated by social media since I first started with BBS (Bulletin Boards). Started my first online business in 2001. Got into blogging in 2008. That was also when I got active with LinkedIn, Twitter and Facebook. I fell in love with hotels in 2004 when I started as a reservation specialist. You learn a lot then what people put into building their dream hotel experience. In 2010 I combined my passion for hotels and social media. And in 2011 I have specialised myself on how to leverage hotels with LinkedIn. Social Media has really awakened as a sleeping beauty for the hotel family: customer relationships, customer care and customer service are all hot topics in social news. Hotels started with a little ‘wait and see’ attitude. But some early adapters got on to it, and started the word-of-mouth effect within the industry. There are several gatekeepers within the hotel family. So this new trend had to pass several stages before it was widely accepted. But when hotels discovered this they also had to be where the consumers where, they started to introduce social media in a larger scale. Hotels have traditionally focused on reputation management. Here your main focus is customer service through social media channels like TripAdvisor and Yelp. Today where the main focus is consumer engagement, hotels have got more involved in real time social networks. Many hotels today are true social media melting pots. Involvement is the key for hotels today. First off, all hotels need to identify employees that have large quality social media networks, and find new unique ways to embrace these as champion brand advocates. Many small hotels indicate challenges with social media due to limited budgets. This is one reason for employees to be involved, and assist in building a strong network. With employee involvement together they need to define social media guidelines, and a social media strategy. When you have you build a network of champion brand advocates through your employee then you can start on groups that will help you manage trends. I am not a ‘doom and gloom’ person, many hotels will still do ok without social media. We will at some point in time come to a tipping point where the majority of hotels will have to be on social media, but we are not there yet. Scarcity is not good guideline to follow. This often results in that the hotel becomes more reluctant to social media. I will often advice the hotel to follow the approach I gave in my previous answer. Challenges small hotels have with the economy is probably for many bigger then challenges with Social Media. In my opinion all challenges is just an opportunity in disguise. – Talk about your network and peers info show how this adds value. Give 80% and make yourself receivable. Then you receive your 20% back over and over again. Yes, the hotel website is their professional online billboard. Here the message need to be short and to the point. And provide quick answers for the consumers needs and wants. Plus have an visible booking machine on their website. Social Media is the engagement and response channel. If you put consumer engagement first, then you will start handling customer relationship and customer care in open fora. This will again result in more effective and satisfying customer service experiences for all parts involved when issues arise. What Are Your Thoughts On The Recent Sofitel “Press” – Good Or Bad? It is often unfortunate when this happens. But it happens. This is why it is so important for the hotel itself to be visible on social media, and have proper listening outposts in place. You have to be able to provide proper response, and since most social media is live you have to respond reasonably fast also. Others will talk about your brand either you like it or not. And if you don’t provide a proper response people will assume that the picture that is painted is the true picture. Luxury hotels and resorts seem to be a little slow and pokey to embrace social, and sometimes it’s hard to get them in a groove as a client. I wanted to showcase a luxury resort we are not affiliate with, and hopefully inspire your team to get caught up. What I liked about the Miramonte, besides its location and amenities, was it’s social media efforts on a plethora of social platforms. I also wanted to get across that not everything needs to be viral or link bait, but just solid content that gets your message across. Hopefully the folks who run the Miramonte don’t mind me using them as an example, but I couldn’t resist as they’re doing a damn fine job. When you’re a luxury resort of sorts, you’re already a sought after experience that hopefully alone is enough to get a viral effect going. Strutting your stuff across a few of the top social media platforms should be a kick start to an easy social marketing campaign. Your pictures, HD video, deals and celebrity visits are all bases you should have covered. The Miramonte has a great thing going on with their social media efforts, and while it may not be of rock star status yet, they’re heading down the right path. Let’s take a look at just some of the efforts that are driving them businesses through social interaction. Of course a good blog is in order and the Miramonte is doing an ok job on their blog. While I think a good dosing of images and video could be added to make it more vibrant, they’re getting in solid content for the search spiders. It seems their Facebook Page is getting all the pictures, videos and social interaction and that’s a trend we’ll see more of down the road. We all know more people spend their time on Facebook than any other site, so this may be a sign of the times for blogs (in certain industries). 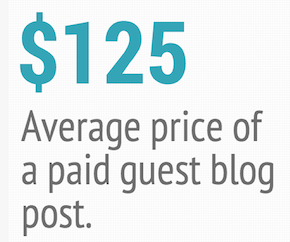 What they do different than almost all other resorts we’ve seen or worked on is offer people to guest blog. This was a nifty feature to have found and I think it’s a brilliant step to better selling their service. Just imagine your blog getting free great content from the people who pay to stay…just awesome! Just about any luxury resort is worthy of video marketing mainly because each place is usually stunning. The Miramonte has a crazy nice location just two hours outside of LA, and they took advantage of this with a great mini video. You’ll see below that it’s nothing crazy, just shows off what they’re all about and even some summer deals. This kind of video marketing should lead to a lot of sales if they keep it up! This one was done by Point 7 West. A lot of people struggle with Twitter, especially if they don’t have a dedicated marketing team. I can see how people don’t get involved, but in the hotel world that can be a huge mistake. The more social you can be the better off your business will be as well. The folks at the Miramonte have definitely been active here and what I liked especially about their Twitter stream was the direct interaction. Most companies just stick to tweeting their latest blog post or a deal, both of which there is nothing wrong with, just don’t make this your bread and Twitter butter. Twitter is a great way to bridge the gap with your customers, both potential and past. It’s also a great way to get people to return by constantly being in their brain. We’ve even had a lot of success by firing off special deals and coupons to individual Twitter users…and it bloody works! I really really liked what they’re doing with their Facebook Page. It goes beyond the normal wall posts and they seem to be really embracing a lot of features. You’ll see from my amazing Photoshop skills on all the features they’re taking advantage of(such as Reviews, Book a room, Youtube, Photos, Blog, Active Wall). This is all really good stuff and this is an area I want our hotel clients to take note of, as well all you hoteliers reading this post. Since I’ve never been in contact with them I have no idea how that Book A Room feature is working for them from the Facebook Page. I can safely say that not including this feature will leave you at a loss, even if you only make one sale a month. From what we’ve seen on our end with other clients, the direct social contact through Facebook leads to a way higher conversion rate. Last but not least on the list to mention is Foursquare, and I honestly didn’t expect to see the Miramonte so active on here. Bravo! Their hip clients are checking in at a very good rate here and that’s all you can really hope for. If I were to offer any advice here it would be to jump on the mayor deal marketing opportunity. Besides that you can get a link from your venue page so why not utilize that and add a little more diversity to that link profile? Foursquare doesn’t take much effort and if your mayor deal is attractive enough, you can pretty much set it and forget it. Make sure you befriend people who check in as well which goes to show you’re a company with real people behind it, and that you actually care. Well I hope this inspires, helps and encourages a lot of you folks out there. As always, I’d love to hear comments, suggestions and tips regarding anything talked about here. If anyone from Miramonte wants to pipe in then we’d be more than thrilled! For the rest of you folks who are near LA and need a pampering, then check out their spring specials and deals. Sofitel: Any Press Is Good Press? With the recent shenanigans with IMF director at the New York Sofitel, you’d wonder how bad is all this for business. I know it’s a touchy subject, this is why I have zero opinion on what happened, but more so one about how badly this will effect business for them…or if it were any hotel for that matter. The NY Sofitel has a long struggle ahead of them, but the press might eventually work out in the long run. I know it may be a little early to touch on the subject, but I thought it might be interesting to see how it’s already impacted them in both direct traffic, social media and of course the links. I do put out my warmest regards to the Sofitel PR team, they are most likely sweating it right now trying to do damage control. If you’ve turned on a TV, read a newspaper or checked out your favorite blog you’ve most likely heard the story over and over. This is quite the scandal so some of the biggest sites on the web are out writing, linking and tweeting! So how is bad press sometimes good press? Well I imagine down the road once no one cares about this in a week or two, all those thousands of links, social media mentions and branding will have gone a long way. According to my current SERPs (and checked with Scroogle), I’m seeing Sofitel just on the verge of the top 10 for “Luxury Hotel New York”. I’ll make sure to check back in on how they’re doing this a couple months down the road. I’d really be interested to hear from them a month from now as well on how bookings are doing, but I imagine that information will never see the light of day…good or bad. 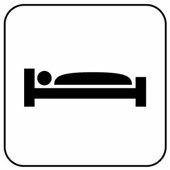 The Linkbuildr team works with a lot of hotels, in fact this niche is our personal favorite due to the amount of hotels we stay in. I don’t know what it is, but I love staying in hotels almost as much as I love doing their marketing. There are so many interesting marketing tactics that can come into play, so lets go over a few we take care of for our clients. While link building for hotels is a daunting task, it is more time consuming than difficult. The social media aspect is nothing short of tons of fun! I’ll get into some unique link building opportunities you can jump on today, as well get your thinking about your social media and content strategy for 2011. The main thing we stress when it comes to quality link building is building partnerships within your industry. The hospitality industry has so many unique opportunities to exploit that you could literally hire someone full time to tackle it…and some of our clients do after they see what we put on the table. Let’s look at three choice opportunities here, and hopefully this gets your brain going. If not, give us a ring and we’d be more than happy to light a fire under your marketing bush(editor note…Ryan is never allowed to use that phrase again). Hotel Bloggers – There are many travel bloggers out there and inviting one out to stay with your hotel can be more than worth it. This gives your hotel the opportunity to have a hotelier come and literally document your hotel from a different angle. From our experience we’ve seen not only links come in from this, but social media traffic which equaled in more followers on the hotels end. We saw a boost in Foursquare checkin-ins, Yelp reviews and bookings increased almost every single time by over 30%. Local Businesses – There are plenty of local businesses you already are partnered with in some respect. Since you’re a luxury service provider, look into connecting with local luxury car rentals companies, high end restaurants and spas. You can look into luxury tours, golf courses and real estate agents. They all have websites, social media accounts and both parties can really benefit from an exchange of shout-outs. Mobile Travel Apps – There are thousands of mobile travel apps out there, are you on any of them? I’d get in touch with app owners if your hotel isn’t included and see what you can do. A lot of the apps are also built on affiliate feeds from the likes of Travelocity, Hotels.com and others. So get into a well know affiliate program and benefit from mass of users out there who will market for you. If you run a boutique luxury hotel, check out the Small Luxury Hotels iPhone App. Having great content is the key to attracting links, a better on page time from the user end and just makes you look good in general. You’d be surprised by the number of luxury hotels we work with that have minimal visual stimuli. I imagine your hotel has decadently designed lobbies, lounges and rooms….so show them off damnit! Hire a local photographer to come in and just go to town all over the hotel. High resolution pictures are great use in your own blogging, filling your Flickr account up, letting your affiliates use the content and use on your other social media accounts. Plus, then next magazine or news print your hotel gets into, they have a plethora of pictures to choose from. Video marketing is key, you should fire your marketing team if they haven’t been doing this already. There are dozens of video sites out there that get your best assets in front of the eyes of millions of travelers. Having a large range of videos is also more fodder travel bloggers to embed in their writeup of your place. It gives that newly married couple something to show off on their Facebook page. Videos are also easy to rank, so how awesome would it be to have your hotel video ranking top 10 for say “Manhattan luxury hotel” ? Create your own iPad/iPhone app for your guests. I can guarantee that most luxury hotels will have an iPad (or something similar) replacing the in-room guest book. Your content can be showcased in high resolution from these along with all the guest information needed. If you really want to showoff, you can tell them how you’re going green and reducing the need for paper. The link building opportunities are plentiful, and there are some easily obtained options right at your fingertips. I won’t give away all our secrets now, but I’ll give you a few scraps to get your mouth watering. Link Building for hotels can be a pain, but again it’s all about the relationships so keep at it and it’ll pay off in the end. Mr & Mrs Smith – This directory is hard to get into but can open your hotel up to a whole new audience of luxury travelers. They have a suggestion form, so that’s about all I can say about getting your hotel hooked up here. Elegant Small Hotels – This site is not only on my pleasure reading list, it is a well maintained site for the smaller luxury hotels around the world. You get a link if you’re listed here, as well the exposure and branding is beyond most expectations. Drake & Cavendish – This is one of the largest luxury hotel directories in the world and you best be listed here. There is a fee to be listed here, but you know all the visitors coming to the site are 100% targeted to your hotel. Since Google and Bing both count social participation into their algorithms, then 2011 is the year of social participation. Almost every luxury hotel has a Twitter and Facebook account which is great. Building the followers should be high are your goals list this year, so lets look at a few tactics to handle this aspect. Contests – We try and get every hotel we work with to run a contest which involves both Twitter and Facebook participation. Make sure you set a blog post up on the hotel blog talking about the contest, but funnel your users both new and old into your Facebook Page from this point. More people are staying on Facebook, so the key here is to nab as many followers as possible. Once they’re a fan on Facebook, you can get at them at almost a daily basis. Do the same for Twitter, run the contest for those followers as well by making them ReTweet to be included. This makes sure you cover all your basis and gets as much social media exposure as possible. Conferences – Hosting a business conference can be a great boost for business. You’ll not only get links from the conference host site, you will get a flurry of on site Tweets, Foursquare check-ins and other media. How many people are going to be taking photos and video from their smart-phones? How many of those people will be uploading those to their Youtube accounts, Facebook profiles and other social media accounts? If you can’t find a conference right now, go check out local Meetup.com groups and offer to host some of their events. Social Travel Sites – There are a lot of awesome social travel sites, and hotels are encouraged to sign up and participate. This can be enough work for a full time employee, so keep that in mind. We compiled a list of Travel social networks last year, so take a look at those before going around on your own. These are great ways to target your market audience for almost free. Remember all that cool content I told you to make? This is another great way to utilize it. We know a lot of hotels don’t have the resources on staff to tackle the bulk of these marketing tasks. I’d like to extend our expertise with a whole range of strategies and tactics we can implement for your hotel. We can even send our lead hotel marketer to your location to handle everything from content creation to kick starting a top notch marketing plan. If you mention this post, we’ll even give you 10% off our services for as long as you’re a client. I’ve been wanting to do more work in the hotel marketing arena so I thought I’d stir up some link building ideas you can use that I’ve found useful in the past. If you’d like to explore these ideas further then consider working with us to expand your hotel’s business both locally and beyond. There are a lot of ways you can build links in this industry and I wanted to show you a few that you may have overlooked. Marketing a hotel can be a daunting task because no matter where you are, you have active competition that’s always trying to out do you. If you’re a hotel in a small area ranking well can be absolutely crucial to your survival in a local area. I’ve worked with a few hotels before and the one thing I have come to realize is that you need a good mix of link building and social media marketing. There are a lot of things you can use I’ve already blogged about, or other link building posts that can apply to your hotel’s marketing strategy. While you can use a press release service to get some news out just like everyone else, you can also make use of hotel industry specific news sources. These are links privy to the hotel industry so you know you’re getting targeted links from great news sources. These hotel specific PR services are a great way to reach the who’s who in your industry while picking up some links along the way. I’d try and put away the budget to do a press release every time your hotel hosts an event or conference. While some of these wire services may not snag you a link in the release, you may get a link from a site reporting on it. You never know until you try! 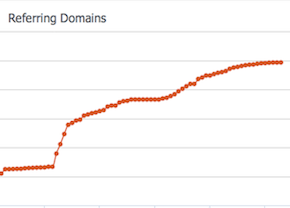 Mulling over backlink data is only fun for those who enjoy perving on websites link portfolios…I still recommend thoroughly going over everyone in the top 20 for your target keywords. Then once you’ve gone over and obtained any goodies from that, do the same for another 20 hotels in another city/country/place. This may yield you some link opportunities that you can use for yourself. If it brings you nothing then blame it all on me and curse the day you ran across this post. – partner with real estate agents in your area. They sometimes have out of town clients coming in to see property and they could be recommending your hotel with a link from their site. There are a bounty of hotel directories out there with most being not the highest quality, there still is a decent amount of links to be had. So not only are there hotel specific directories, you can cross over and get listed in some of the most authoritative travel directories. What type of hotel/motel/B&B/boutique are you? Take that into consideration as well because there are a few great luxury hotel sites out there you can get into. You’ll be able to sniff directories like these for cabin rentals, vacation homes, resorts and the list goes on. Keep in mind a lot of directories you’ll come across will cost some money or require a link back, so don’t expect a whole lot of magic to happen. I could write so much on this topic so I’ll try and keep it short, simple and to the point. There are now hundreds of social media/network sites for travel so you are going to be busy for the next year straight. Some of these sites will allow links so keep your eyes peeled. Mainly you’ll want to be active on these sites to reap the rewards of becoming a trusted voice in the online travel community. Most of these sites are review sites that are backed by your affiliates so you’re mostly only going to be able to interact with customers. If you’re skeptical about devoting someone to social media for your hotel give it a try for 2-3 months and see what kind of results come out of it. It takes a little while to get the ball rolling but once it does you can start to streamline certain aspects of it. If you have a programming budget that’s big enough to tackle an iPhone/Blackberry/Android/Wordpress/Facebook app then I say go for it. If you can get something cool and unique done you’ll be able to grab links from all sorts of places. App review sites are a good place to start and you could also drum up some business via the mobile web. I’ve seen a few hotel booking widgets that would just list the lowest price or best deal with no ties to an affiliate program. The boutique hotel wasn’t big enough to have its own affiliate program so they were just straight up marketing with a widget on local blogs. The links they gained from it did all the good little things they’re supposed to, rank you higher.